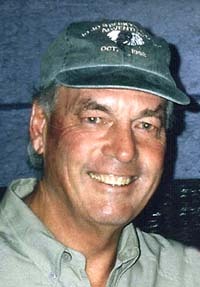 Buzz Birkeland (1932-2012), of Seattle and Sun Valley, was a retired orthopedic surgeon, avid skier, sailor and father. Surrounded by his family, he died Sunday, June 24, in Seattle due to complications from cancer. A lifelong skier, Buzz was never far from the slopes. He grew up with a ski instructor father; he watched his children ski race and traveled to ski areas around the world, including eight years as a U.S. Ski Team doctor. He also heli-skiied in Canada with his buddies for over 25 years. He and his wife, Joanne, had wintered in Sun Valley since 1993, where they enjoyed the company of many dear friends. Buzz is quoted as saying, "One of my highlights in life was knowing and spending time with my Sun Valley ski buddies." A graduate of the University of Washington Medical School, Buzz spent most of his career at Orthopedics International and operated primarily at Swedish Hospital for 30 years. There will be a celebration of his life in Seattle later this summer. Remembrances may be made to the Swedish Medical Center Foundation, the University of Washington Medical School Foundation or the charity of your choice.